Though many thousands of people safely enjoy recreational boating here in South Carolina’s great and beautiful rivers, lakes, and coastal ocean, being out on the water is always a little bit dangerous. You can take every safety precaution available, but when it comes down to it, sometimes there’s just no accounting for the actions of other people. You need to know about where the liability may lie in a boating accident before it happens, not after the fact. How do you hold someone responsible for an accident, and how can you recoup your losses for medical bills, injuries, and more? How do you protect yourself legally, whether the accident is your fault or not? 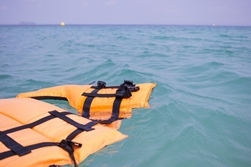 Whether you’re cruising off the Atlantic coast at Myrtle Beach or pleasure boating on Lake Marion, not following these or other rules of the water can result in a disaster that may have otherwise been avoidable. Uninsured or underinsured coverage. Protects you if someone else hurts you or damages your property but doesn’t carry an insurance policy of his or her own. This is extremely important in South Carolina, since insurance isn’t required by state law. Comprehensive collision coverage. This will protect you if you damage your boat and it’s your fault. Salvage coverage. If your boat sinks and you cannot retrieve it immediately, salvage can be extremely expensive, and the cost of insurance is often extremely cheap. There are additional coverages also available, but these are the big ones that can really save your wallet from disaster after an accident. The number one tip for protecting yourself after a boating accident is to get legal help fast. Don’t give a statement to insurance companies or speak to adjusters until you’ve consulted with an attorney. Remember, insurance companies are not in the business of paying out claims, and if they can spin your words to reduce the amount of your claim, they will. Contacting someone sooner, rather than later, will also help ensure that you don’t miss South Carolina’s statute of limitations laws, too. At the Law Offices of Kenneth E. Berger, we would like to help you recover after your boating accident. You could be owed compensation to help you cover the medical bills, lost wages, pain and suffering, or property damage that was caused by somebody else’s negligence on the water. To talk about your case, give us a call in our Columbia offices at 803-790-2800.